It seems Spring finally made its way to Switzerland this week-end, the sun is out, open-air swimming pools have opened and people are outside enjoying the nice weather. 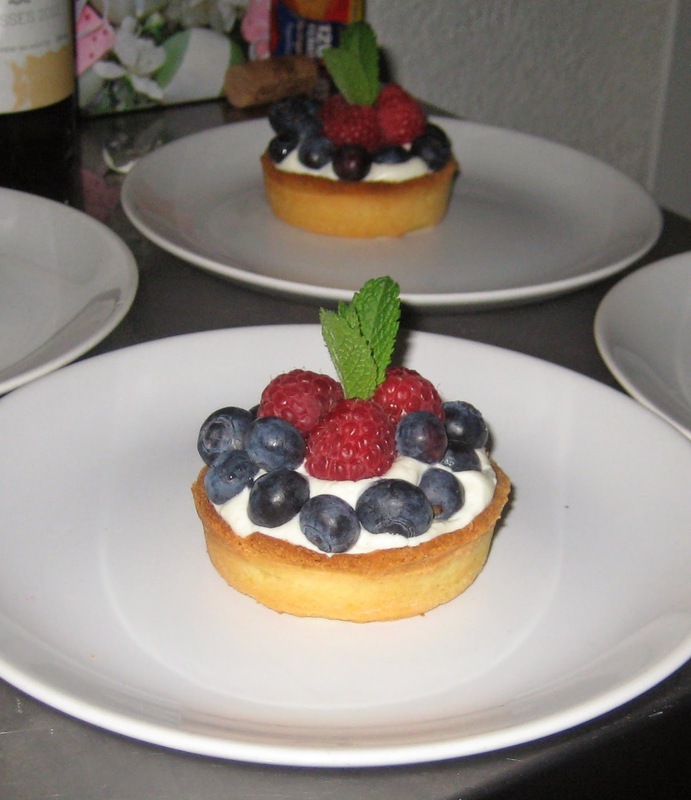 I invited my parents over for dinner and decided to make a summery dessert with berries, so I opted for very easy mascarpone and berry tartelettes. 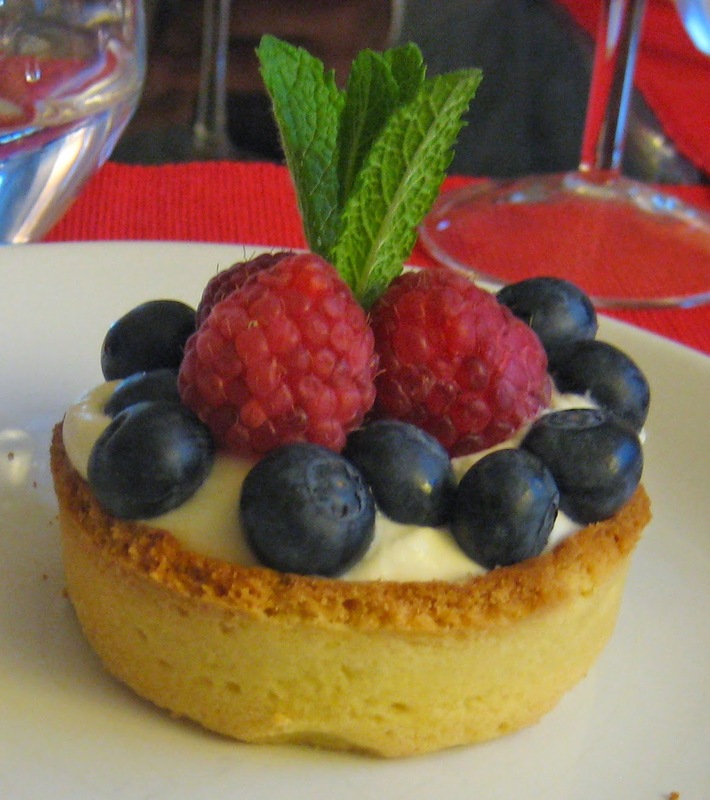 The mascarpone cream and tart dough are lemon-scented for some extra "fraicheur". If you prepare the dough the day before or in the morning, the tartelettes themselves take less than an hour to prepare. It's a nice and easy recipe for fruit tartelettes in that the cream is easy to prepare (only mixing needed) and there is no custard to cook. 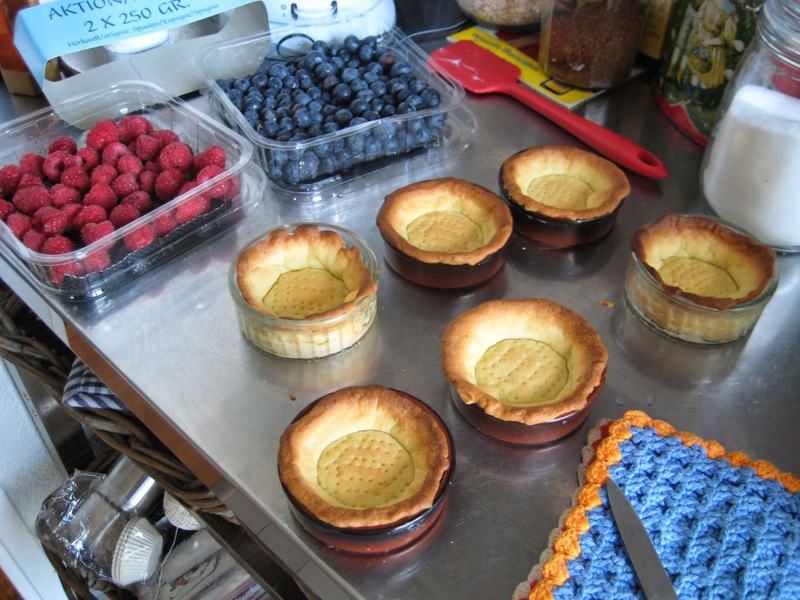 And of course you can use this recipe for a full-size tart if you like. Try it and enjoy it! Cream butter and sugar. Add the egg and mix. 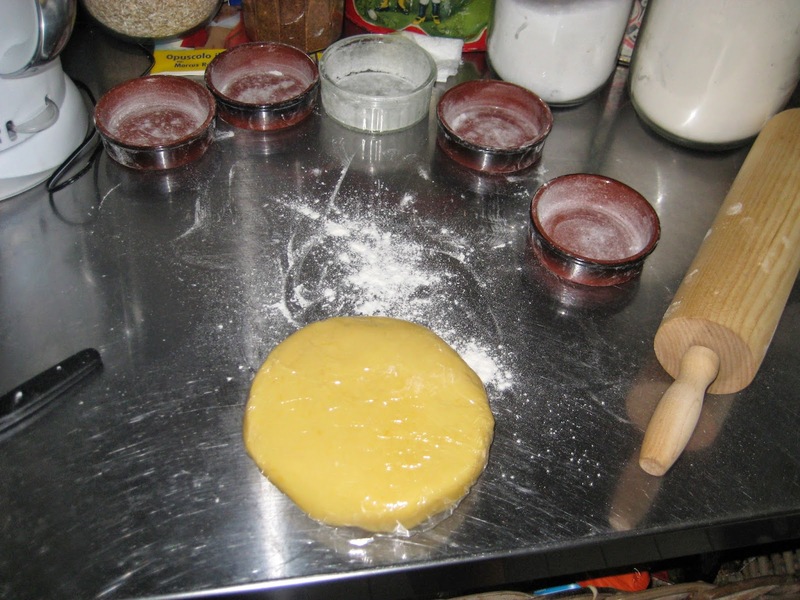 Add the flavors and flour, mix until it turns into a dough. Make a flat disc and refrigerate (at least one hour, but the longer the better). Whip the cream. Add honey and lemon zest to mascarpone and whip up a bit. 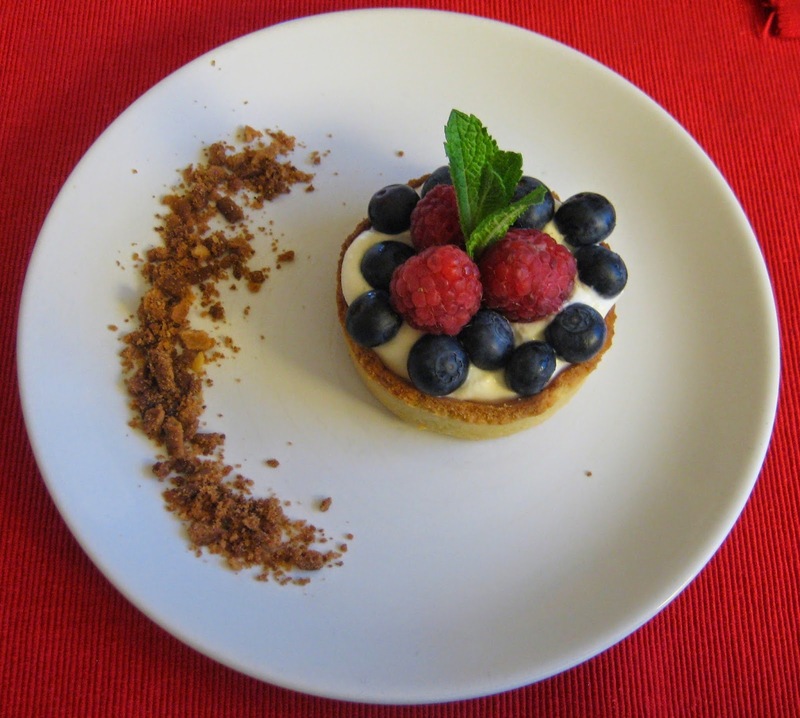 Carefully incorporate the whipped cream in the mascarpone and refrigerate. 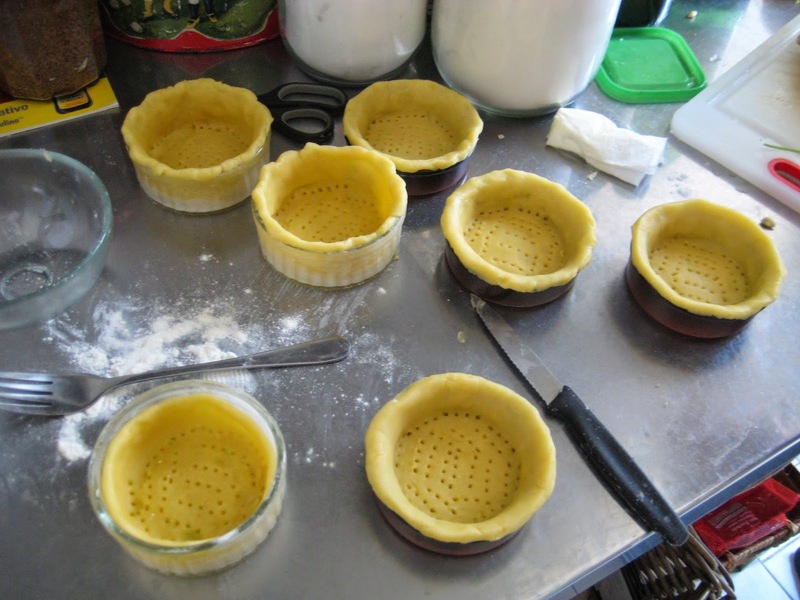 Fold out the dough (3-4 mm) and transfer to buttered and floured tartelette forms. Make sure the dough goes a bit over the edge so that it stays up while baking. 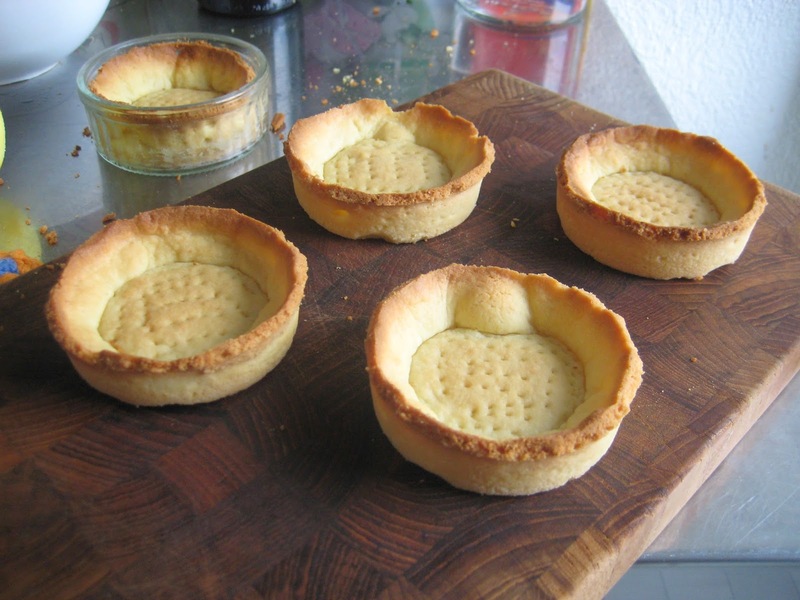 Prick the dough and bake 15-20 min (until golden) at 200 C. Adjust the tartelette edges with a knife (cut away the part that was folded) and keep the extra crumbs for decoration. 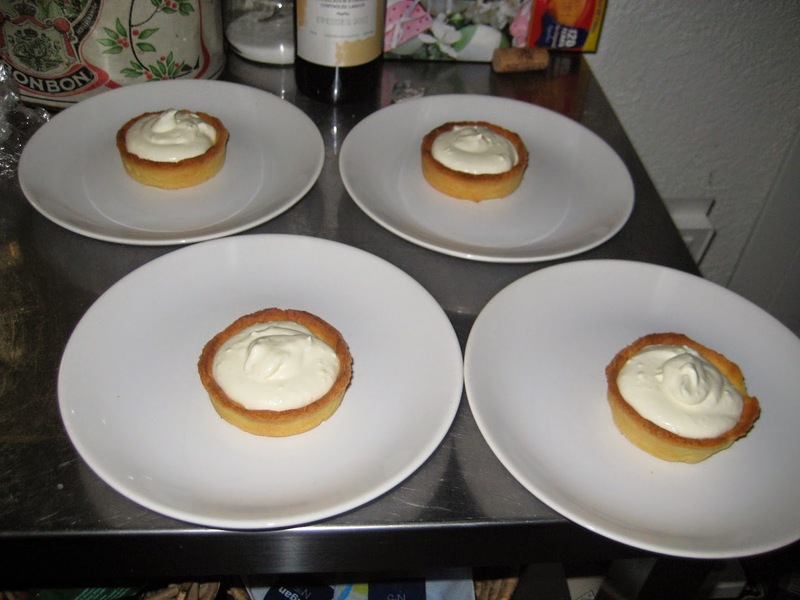 When cool, fill the tartelettes with the mascarpone cream (volume!) 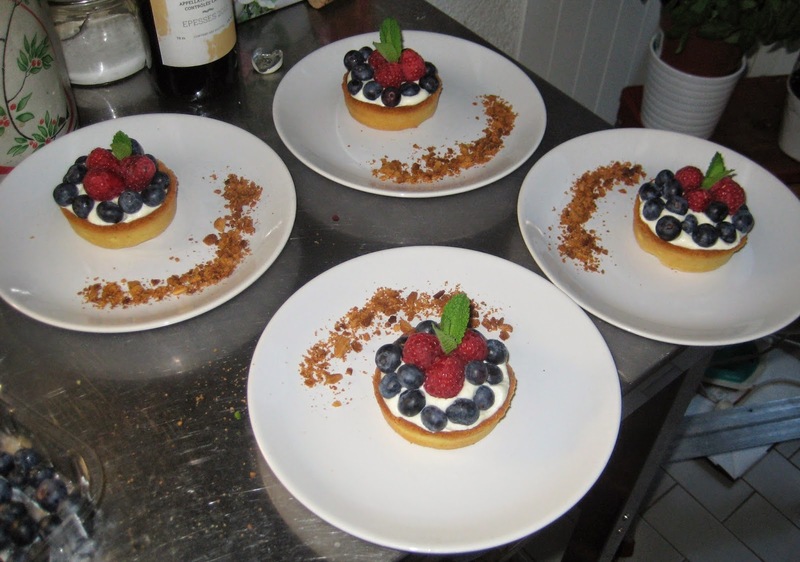 and decorate with lots of berries (here I used raspberries and blueberries but you can use other fruits too like figs or apricots). Decorate with some mint leaves and powder sugar if you like. Prepare them right before serving they taste better that way and are more fresh too. Enjoy!